July 1, 2017 is the 20th anniversary of the return of Hong Kong to China from the United Kingdom. 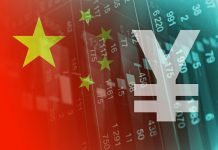 I was lucky enough to have a behind the scenes seat on the China side in the run up to that historic event and wanted to share a few of my personal experiences and observations. It was an amazing achievement for the politicians on all sides to negotiate the peaceful return of Hong Kong back to China from the United Kingdom after the Brits had been there for over 100 years. It was a bittersweet event for the UK. Many in the UK decried the event and dubbed it the “end of the British Empire.” On the other hand, Britain recognized the new realities of the rise of mainland China and that it was in Britain’s long-term best interest to return HK to China which would engender a tremendous amount of goodwill and future economic benefits to the UK as China continued to grow. The politicians concluded the treaty, but on the financial side there were a lot of questions. Would the Hong Kong dollar remain independent? Would the historical hard link to the US dollar be maintained? What about investment coming into and out of Hong Kong? Would capital controls be imposed? Would people be able to take money out of Hong Kong? Would the mainland slowly strangle Hong Kong and move the financial center of China to Shanghai, the historical financial center of China? What about contract law and trading? Stock market investments and other investments? Would Hong Kong dollar bonds be allowed? Would banks continue to operate as usual? These and many more technical financial market issues had to be answered. To handle the financial side of the handover China assigned the Deputy Governor of the People’s Bank of China (PBOC, China’s central bank), Mr. Chen Yuan to smoothly implement the financial related issues of the treaty. I had been working with Mr. Chen Yuan as an investment and financial advisor to PBOC since 1993. When Mr. Chen was given this supervisory role in Hong Kong he summoned me to meet with him in Beijing to go over the strategy and implementation of the financial parts of the handover in late 1996. Mr. Chen knew there were many risks in the execution and implementation of the handover. There would be the inevitable comparison of British rule to the new China oversight. Some of the risks had been defused by having some provisions take effect over a multi-year period. But there were clear immediate financial market risks in the run up and right after the actual handover operationally. Mr. Chen explained to me that one of his biggest concerns was the stability of the exchange rate between the US dollar and the Hong Kong dollar. He wanted to make sure that currency speculators did not attack the Hong Kong dollar and force a depreciation right at the time of the handover. Little known to the speculators was the fact that China would do absolutely everything in its power to insure a smooth financial transition because they wanted to show Taiwan how smooth things would be when Taiwan rejoined the China fold. We both were concerned that hedge funds and other currency speculators would take the opportunity to challenge the strength of the Hong Kong dollar and China’s resolve as a newly emerging power in international markets. Mr. Chen asked me to provide currency and bond market condition reports and forecasts to traders at the PBOC daily, and especially focus on market activity in the Hong Kong dollar and interest rate markets. At Mr. Chen’s office at PBOC headquarters in Beijing there was a credenza behind his desk. On top of the credenza was a single phone. Mr. Chen handed me a card with a phone number on it and said, “This is the number to my private phone (he pointed to the phone on the credenza). Call me anytime on my private line if there is any important market activity or information that you think I need to know personally.” I felt privileged and trusted to be given private access to Mr. Chen. As 1997 started, the Asian Financial Crisis was developing. Countries around Hong Kong were having their currencies repeatedly attacked by speculators in an attempt to force the currencies lower in value. Many countries in Asia had made a fundamental funding mismatch mistake of funding local projects in US dollars. As their local currencies devalued the cost of repaying the dollar borrowings skyrocketed, which caused more currency attacks. 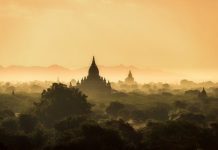 During the months in the run-up to the July 1st handover, Mr. Chen was becoming increasingly concerned of the negative impact of an attack on the Hong Kong dollar as the Thai baht, Malaysian ringgit, Indonesian rupiah and other currencies got hit. I was getting more concerned as well. The timing of the handover from a financial point of view could not have been worse. There was financial panic all around Asia, and HK was in the middle of it. My analysis for PBOC was that HK was in a much less vulnerable position than many Asian countries because the amount of currency mismatch was less, HKMA reserves to defend the HK dollar were adequate, and interest rates could be used to punish attackers. Still, as currency after currency unraveled, the speculators became increasingly bold. My market intel sniffed out a number of complex threats to the Hong Kong dollar. Some funds were in fact building short Hong Kong dollar positions. Others were using clever anti-HK arbitrages. But Mr. Chen and PBOC, along with the Hong Kong Monetary Authority had built in defenses to repel most attackers. PBOC’s trading desk used my reports to help keep markets stable through their daily operations. I used the “PBOC Chen Hotline” once before July 1. I got through to Mr. Chen and recommended that he have a senior official in Beijing communicate to markets that Beijing stood 100% behind the Hong Kong Monetary Authority and would provide the HKMA with all resources necessary to support the HK dollar. Shortly thereafter, Mr. Chen and other officials became publicly more vocal in their support of Hong Kong by Beijing as a way of facing down the speculators. The attacks were rebuffed in the currency markets through market intervention, pushing up short-term interest rates, using reserves to support HK’s equity market and psychological ploys and strategies (the least expensive and most fun of all our techniques). The crisis did not spread throughout Hong Kong financial markets. July 1st came and went smoothly and Hong Kong was returned to China without a serious political or financial market glitch. A testament to all parties involved. 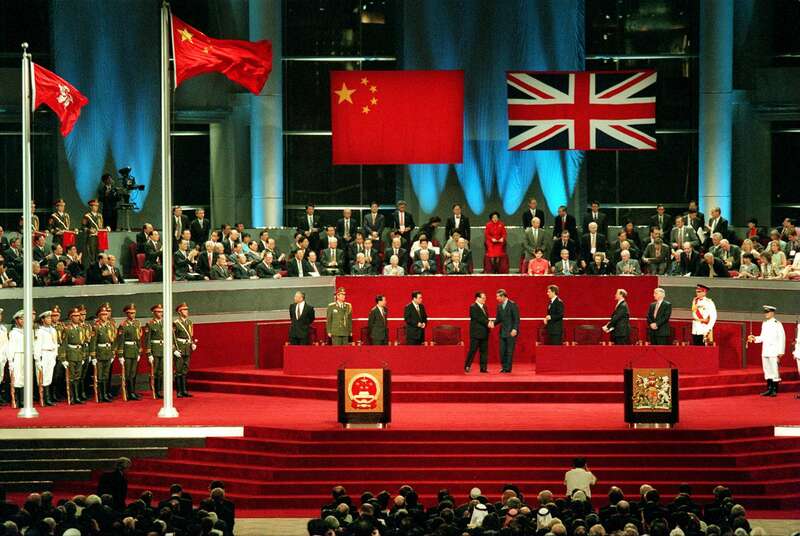 Now 20 years later one can see the wisdom of the actions of the United Kingdom, China and Hong Kong. China continued to power ahead and in the process raised the standard of living for hundreds of millions of people. The UK has benefitted in a number of ways through trade and investment in China’s development. And Hong Kong, after a brief hang-over from the handover remains one of the wealthiest and most important financial centers in the world. In 1998, partly based on his adept handling of the smooth transition of HK back to China, Mr. Chen was promoted to be the head of China Development Bank. In that role Goldman Sachs called him “the most important person in finance in the world.” For me, it was a career high point to be behind the scenes and play a small part as positive history was made by great historical figures. Today, short side speculators are again poking at the Hong Kong dollar. They have asked me what I think. Given 15 years of behind the scenes experience with PBOC my answer is to find out what China wants to do, and then bet with China. William Lawton is Chairman and CEO at Seagate Global Group. Next articleHow Critical Is The ‘K-Wave’ to South Korea, And Can It Grow Beyond China and ASEAN?